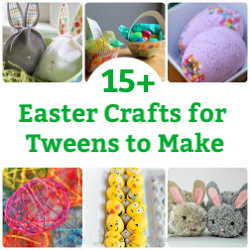 Soups are a deliciously simple way to get the kids to eat more vegetables. 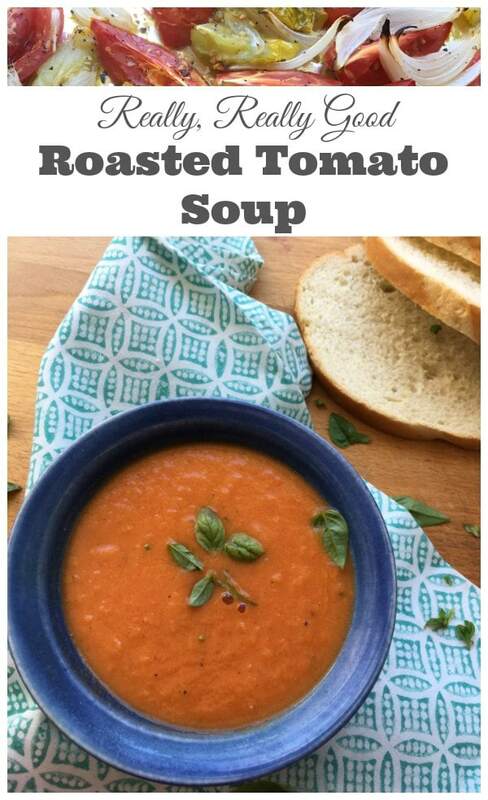 This oven roasted tomato soup is one of our favourite meatless Monday recipes. 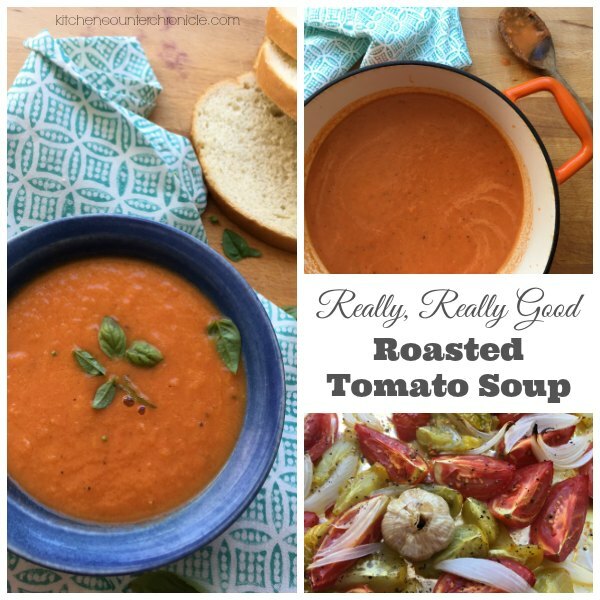 While it is fantastic to make during tomato season, it can really be enjoyed all year round. Sometimes while preparing a meal I have to stop…and take a little extra time…to enjoy the aroma. 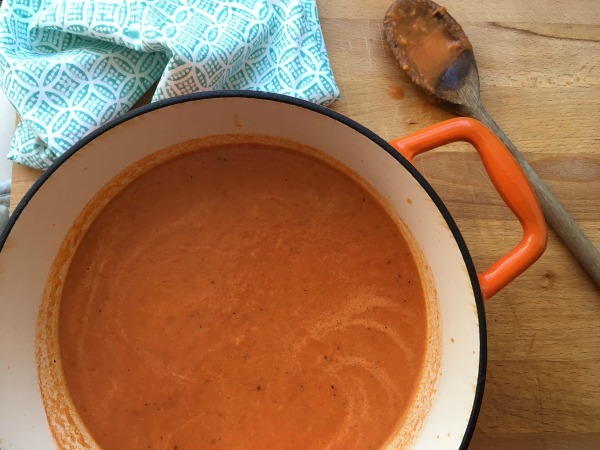 Welcome to the most amazing roasted tomato soup recipe. Super-sensational-soup-tastic recipe. Yesterday would have been author Roald Dahl’s 100th birthday. My daughters and I love Dahl’s books and short stories. I’m pretty sure my daughters have read all of his stories. Have you ever noticed how much food there is in Dahl’s books? Whether it’s delicious chocolate and candies, marvellously mischievous medicine or house sized plump peaches…food can be found in all of Dahl’s books. I was feeling totally inspired while making this soup. In fact, I put on some of our Roald Dahl audio books while I chopped and sliced. Soup is a dish that everyone in the family can enjoy – from babies to adults – which is exactly like a Dahl book…right?! 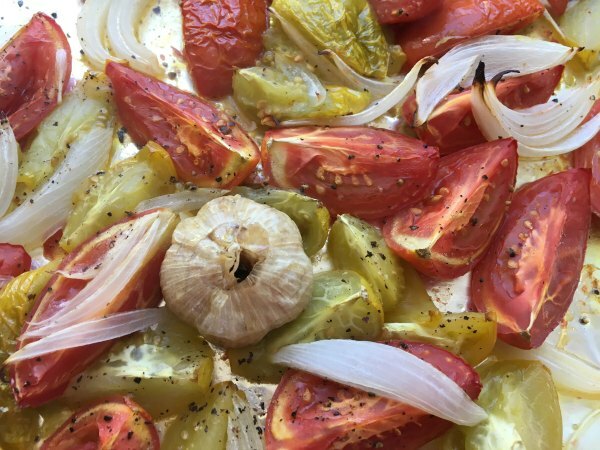 Begin by roasting the tomatoes in a 400°F oven. Cut the tomatoes into wedges. Try and cut the tomatoes so they are all about the same size. Lay them on a foil lined baking sheet. Cut onion into 1/2″ wedges. Lay on baking sheet with tomatoes. Coat tomatoes and onion with olive oil, salt and pepper. Toss and arrange tomatoes and onions in a single layer. Cut 1/4″ off the bottom of the head of garlic. Place garlic on a piece of foil. Drizzle with olive oil. Wrap tightly and place on the baking sheet, with the tomatoes and onions. Roast in 400°F oven for 30 minutes. Toss and roast for an additional 20 minutes. Meanwhile, bring chicken stock to a boil and then turn down to a simmer, in a large pot. 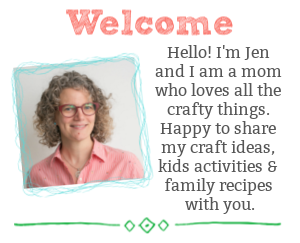 I used homemade chicken stock – following the same instructions for making turkey stock. 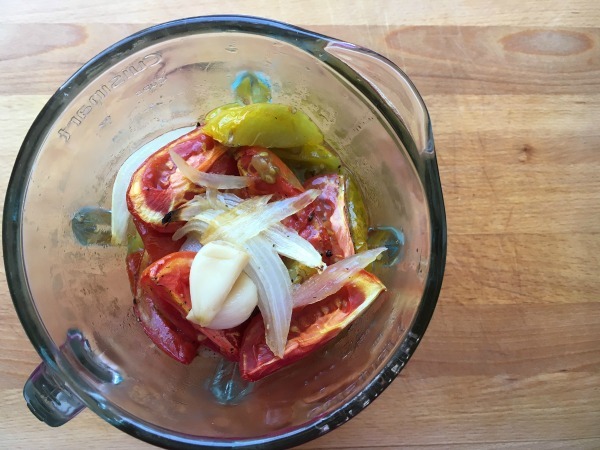 Once the tomatoes and onions are nicely roasted, carefully transfer to a blender. Open the foil wrapped garlic and pop 2-3 garlic cloves into the blender. If your family likes very garlicy dishes, add more garlic. Reserve the other garlic cloves to make garlic bread or for pasta sauces and other soups. Puree the tomatoes, onions and garlic until smooth. 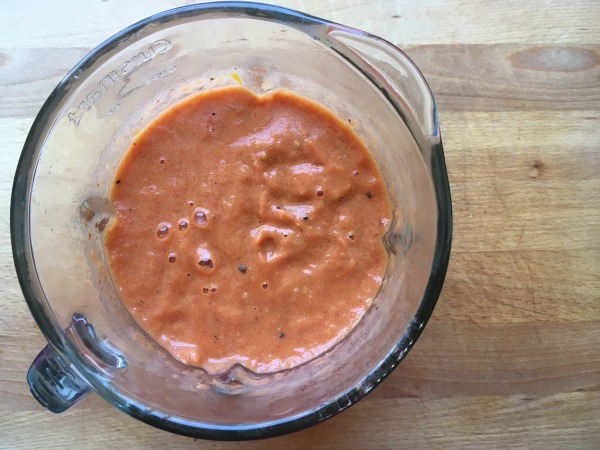 Pour the tomato puree into the pot of chicken stock…stir to blend together. Toss in chopped basil and serve. Seriously, this is really, really good soup. 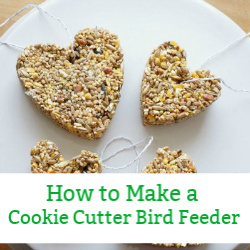 Dip in a piece of bread or pick up the bowl and drink the last drop. I warmed up a pot in the morning and filled up my daughters’ lunch box thermoses. A heart warming soup is the perfect option for busy days at school. Now, it’s time to sit down with a bowl of soup to watch Roald Dahl’s “Fantastic Mr.Fox”. Cheers! 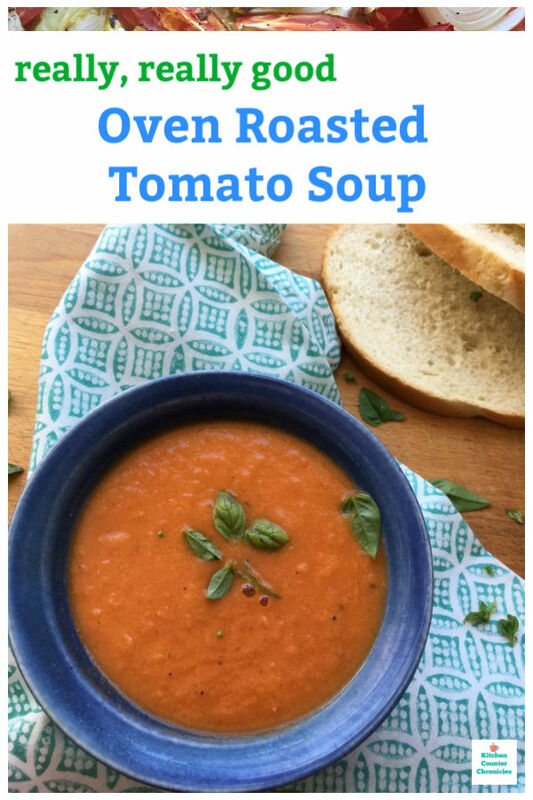 You can't beat this delicious oven roasted tomato soup. 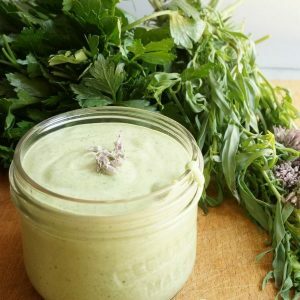 Simple, delicious and totally kid approved. Begin by roasting the tomatoes in a 400°F oven. Cut the tomatoes into wedges. Try and cut the tomatoes so they are all about the same size. Lay them on a foil lined baking sheet.Cut onion into 1/2" wedges. Lay on baking sheet with tomatoes. Cut 1/4" off the bottom of the head of garlic. Place garlic on a piece of foil. Drizzle with olive oil. Wrap tightly and place on the baking sheet, with the tomatoes and onions. Nutrition Info is to be used as a rough guide only. Nutrition Info is based on the products that I am using and you may not be using the same products/brands. Thus, the Nutrition Info may vary. 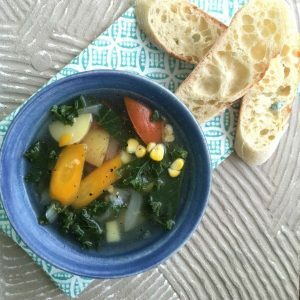 You can’t beat a trip to the farmers’ market and the yummy simple farmers’ market vegetable soup you can make with everything you pick up at the market.